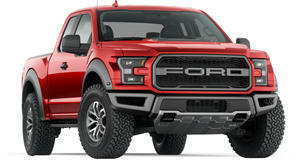 The Ford F-150 Raptor has been defeated. By a swimming pool. The ferocious Ford F-150 Raptor is a tough off-roader that can tackle everything from mud and snow to steep hills and water. However, in San Diego the potent pickup truck was finally defeated. By a backyard swimming pool. According to Fox 5, someone lost control of their Raptor, which rolled down a hill, smashed through a wooden fence, and landed on its side in someone’s backyard swimming pool where it was nearly completely submerged, trapping a 68-year old woman inside. Luckily for the woman, bystander Gabriel Mejia witnessed the accident and immediately rushed to help, diving into the pool and smashing a window with his bare bloodied hand. Mejia saved the woman's life by holding their head above the water until firefighters arrived to free her from the submerged pickup. The woman suffered a non-life-threatening head injury in the accident and was taken to hospital, but details about her condition haven’t been released. Being trapped in a flooded vehicle sounds like a nightmare scenario that could easily have been fatal, so it’s fortunate that everyone escaped alive. It's scary to think what could have happened if anyone was in the backyard or at the pool when the accident happened.